Welcome to today’s devotional encounter with the God who makes a way where there seems to be no way! The Holy Ghost wants you to know that the life and ministry of Jesus was characterized by mockers. They mocked Him that He was a carpenter’s Son. Yes, that was the Name they called HIM, but this same carpenter’s Son became the CORONATED SON! Yes! They also mocked His origin and place of birth with the popular saying: “CAN ANYTHING GOOD COME OUT OF NAZARETH? (John 1:46), and even on the cross of Calvary, they mocked and reviled Him. But after HIS RESURRECTION, HIS MOCKERS BECAME HIS WORKERS! Ah! THEY BECAME THE PUBLISHERS OF HIS GLORIOUS RESURRECTION! Glory be to God! That shall be your story because in 28 days and within these “EMBER MONTHS,” an enemy shall confess! Oh! They shall bow to you in Jesus name! Recall also that the brothers of Joseph mocked and ridiculed his dream and did everything in their power to stop him. Hear this: “And they said one to another, ‘Behold, this dreamer cometh. READ Daily Manna For Champions 8 January 2019 - NEVER SPELL “NETS” AS “NET!” YOU ARE A RECORD BREAKER! Come now therefore, and let us slay him, and cast him into some pit, and we will say, ‘Some evil beast hath devoured him’ and we shall see what will become of his dreams”(Genesis 37:19-20). Note this: “…and we shall see what will become of his dreams.” Joseph’s dreams, future, and destiny were mocked! Oh! I remember how the sons of the prophets mocked Elisha to scorn in 2 Kings 2:5. Note: ‘SONS OF THE PROPHETS’, not demons but his own friends, colleagues and acquaintances! They mocked him! But no matter how you have been mocked, note this again: LIFE DOES NOT GIVE YOU WHAT YOU DEMAND! See you at the next Lagos LEKKI Anointing service – SATURDAY, SEPTEMBER 22ND, 8AM! LUSAKA ZAMBIA IS SATURDAY SEPTEMBER 29TH, 8AM! 2. Lord, turn every MOCKING area of my life into a DIVINE MIRACLE in Jesus name. 3. My Father, My Father, mock my mockers and baptize them with shame in Jesus name. 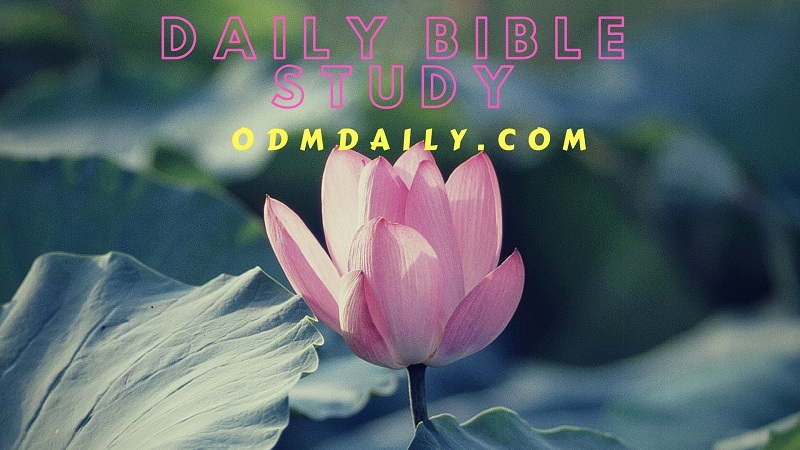 Previous Post:ODM Daily 13 September 2018 By Bishop Chris – TOPIC: LORD, MAKE THEM BLIND! Please when is the Ghana anointing service coming on? I have been given a Job schedule that is a mockery, a shame and an embarrassment to me. Pray along with me sir that this decision should be overturned for me and that a respectable and a befitting job schedule should be given to me before next week in Jesus name. And that any power sitting on my God ordained job schedule should be unseated.